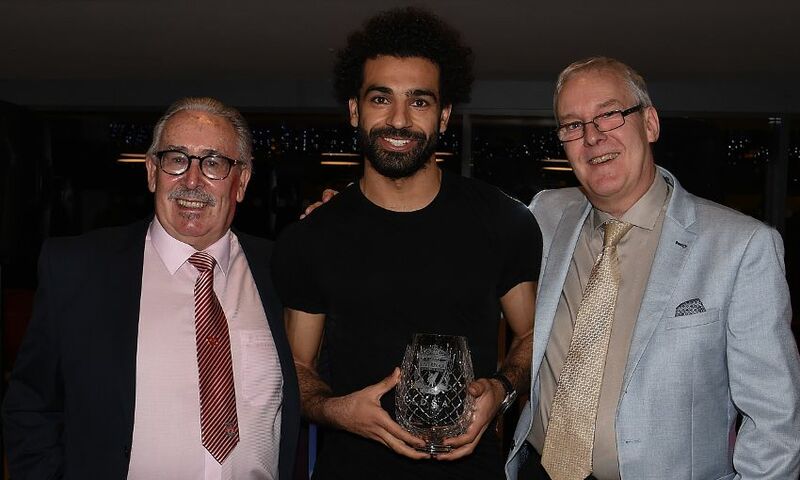 Mohamed Salah made a guest appearance at the Liverpool Disabled Supporters Association's Christmas party on Thursday night to pick up their Player of the Season prize. The Egyptian attended the event at Anfield to greet fans and collect his award after being voted the LDSA's star man of the last campaign. Following a ballot by LDSA members, Salah was the clear winner as their Reds' outstanding player for 2017-18. The forward was delighted to receive the award, commenting: "I am honoured be voted as Player of the Season by LDSA members. Thank you to everyone who voted for me and to LDSA for inviting me here today." Kay Lindsay, LDSA's social secretary, said: "We are delighted to present Mohamed Salah with this award, and to welcome him here to our event. Our supporters clearly love watching him play, and the contribution he's made to the team since his arrival. "The LDSA Christmas party is a fantastic annual event that provides the perfect opportunity to bring LDSA fans together."